Medium - £69.99 Only 3 left! Are you a fan of both Halloween and Christmas? Who isn’t? They’re both awesome holidays that are super fun to celebrate! Don’t you wish you had a costume that you could wear for both? Well, check out this Adult Krampus the Christmas Demon Costume! You can wear this demonic costume at Halloweens and be one of the most terrifying creatures on the dance floor. Then, once Christmas rolls around, you can toss this on to celebrate the festivities! Those Christmas sweaters are always so itchy and when you dress up as Santa all the sudden a line of children start sitting on your lap and telling you their wish list. However, this Krampus Costume allows you to enjoy your Christmas in peace and quiet! After all, with the disturbing details on the included half mask, no child is going to want to be anywhere near you. Whether you wear this costume for Halloween or Christmas or for both, you’ll sever as a constant reminder for people to be on their best behavior. Krampus, like Santa, has a list that he’s checking twice. Although, the unlucky soles that end up on his naughty list don’t have to deal with a lump of coal in their stocking… they’re just never heard from again. Oh boy, you can bet you pointy horns that everyone’s going to be extra nice around you! We know that you’re ready to have a horrific and festive look that you can get away with wearing on you two favorite holidays. 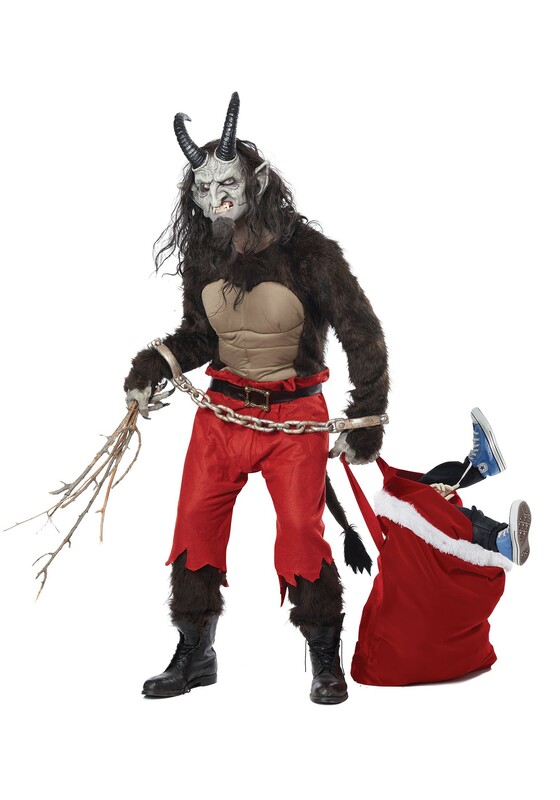 So grab this Krampus the Christmas Demon Costume and let the celebrations begin!